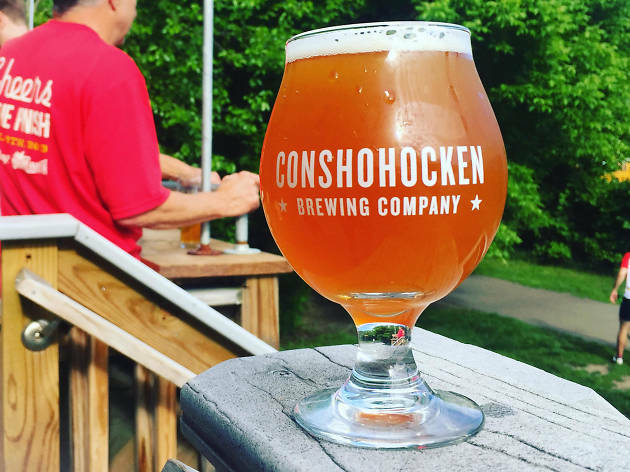 Conshohocken Brewing Company is all about small-batch brews. Core varieties include the Type A IPA and the User Friendly blonde ale, while seasonal styles come in flavors like the Blood Money blood orange IPA and the Blueberry Berliner Weisse. Experimental options are usually available to try as well. 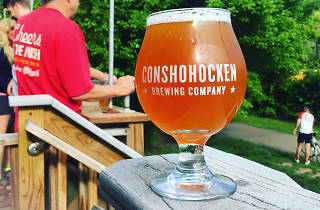 The brewery operates two locations: this production brewery and taproom in Conshohocken and a brewpub and beer garden in Bridgeport, each of which serve beer on tap. Cocktails and wine are also on the menu in Bridgeport.